If you have a critter or bee problem, you need a professional. That’s where Rid-A-Critter’s experts come to your rescue. They provide safe, humane, non-chemical animal control and wildlife management throughout North Georgia. From bats and birds, to raccoons and squirrels, to snakes and bees, Rid-A-Critter boasts the largest and most comprehensive animal control companies in the region. Rid-A-Critter is quite simply one of the most established and best equipped wildlife management company in the North Georgia area. They have experience with all types of nuisance animals and insects. 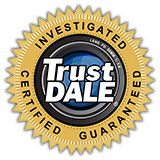 They offer a standard one-year warranty on repairs, with optional extended warranties to fit your needs. They find transparency important, so all quotes and prices are given in writing with no hidden costs. Plus, they pledge to refund your money if they cannot resolve your wildlife problem. Rid-A-Critter was founded in 2001 to bring an enlightened, scientific approach to animal control, and they’ve grown to become the region's largest wildlife management company. Their reputation is built on providing high quality, professional, environmentally sound, and humane animal control, along with business practices that have earned the Better Business Bureau’s highest rating. Rid-A-Critter employs technicians who live in and know the regions they service. And, they have plenty of backup available from the rest of the crew for those really big jobs. Your experience begins with a friendly answered call or promptly returned email. Rid-A-Critter understands the seasonal movements of the regions’ first inhabitants – and they also understand the urgency to get them out of your home or business! They are fully licensed and insured to protect both their customers and employees.